There are a handful of dental veneer options for you to consider when thinking about improving your smile with these prosthetics. A veneer is a thin shell shaped just like a real tooth. It covers the front of a tooth and hides any imperfections on it. Veneers should not be confused with crowns, which cover the entire part of a tooth above the gumline. Since a veneer only covers the front of a tooth, it will not mask any issues on the back or sides of the tooth. During the installation of veneers, the dentist will typically remove a small portion of the tooth. This is done to ensure the veneers look natural and prevent them from making the patient's teeth appear bulkier than normal. However, there are dental veneer options that do not require the removal of any enamel, like Lumineers. There are different types of veneers to choose from. Each type has its benefits and disadvantages. Knowing the unique features of each type makes it easier for patients to decide which is best for them. These are the most popular type of veneers. They are made from a thin layer of either one of these materials and are the most natural-looking. These types of veneers also require less preparation than some of the alternatives. Since ceramic and porcelain are highly resistant to stains, these do not just improve the patient's smile, they also make it easier to maintain the pearly white color most people desire. Veneers made from composites are normally the most affordable option. These also look just like real teeth but are more likely to become stained over time. Just as is the case with porcelain and ceramic veneers, these do not require significant preparation before installation. These types of veneers are made from a mixture of zirconia and porcelain. These are the most durable type of veneers and are stronger than their composite resin, porcelain and ceramic counterparts. Zirconia is often used to make other dental prosthetics like implants and crowns. Dentists often recommend these for teeth at the back of the mouth. The dentist will help you determine which type of veneer is best for you. You might even end up with different types of veneers for different teeth. 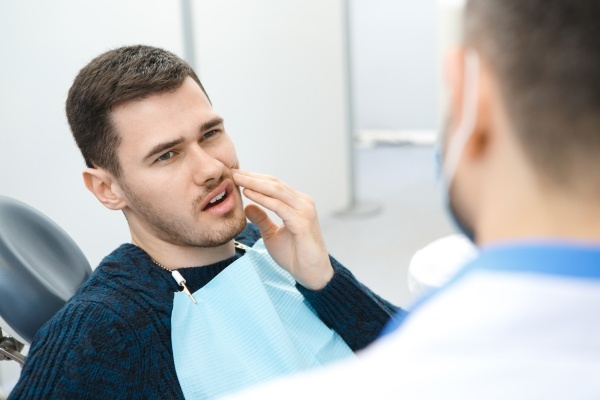 The reality is, any one of these will significantly improve the way your smile looks, and some can last up to 25 years with good oral hygiene. The first step toward improving the way you look is a consultation with a dentist.